It is from one of the most powerful scenes, in my opinion, in the novel. Where Jane, believing that Mr. Rochester is to marry another finally loses her cool as it were. She rages against his seeming indifference and lets her feelings be known. 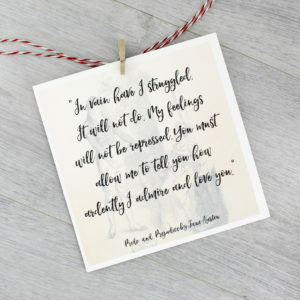 I always feel that this quote, her words are Jane finally releasing years of being treated like a thing, an object without feeling. 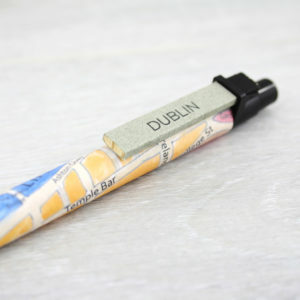 That here and now she declares her independance and feirceness of character. We, all of us, feel for her so strongly in this moment. I always feel my heart go out to her when she declares these lines. 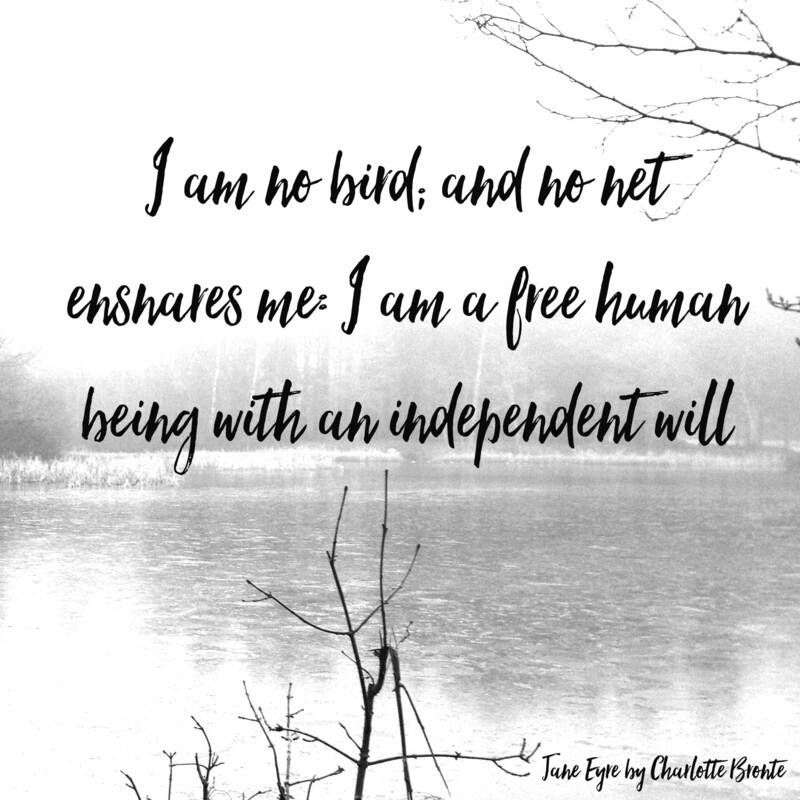 Charlotte Bronte, indeed all the Bronte sisters, wrote powerful female characters. They were held up as feminist novels before their time. 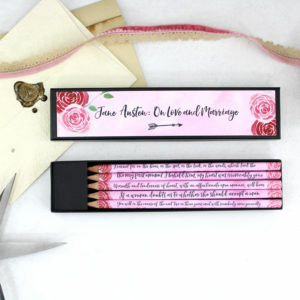 And if you love Jane Eyre as much as I do you can buy my quote pencils here, and the personalised verion here.